She was the first black model to ever appear on the cover of a major magazine (her illustrated image was captured on the cover of Harper's Bazaar in 1965 and her face graced the cover of British Vogue in 1966 – eight years before Beverly Johnson's notable American Vogue cover). 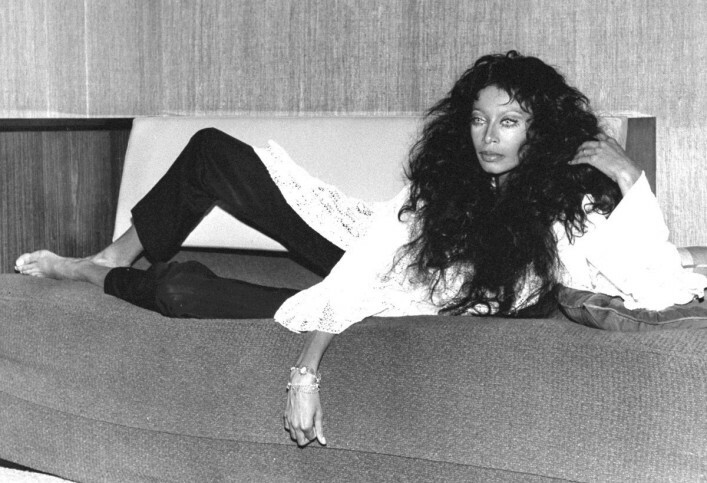 Right out of the gate she scored a one year exclusive contract with Richard Avedon and spot in the cool crowd with A-lister friends & admirers that included Andy Warhol, Sammy Davis Jr, Salvador Dalí, Pat Cleveland, Mia Farrow, Brian Jones & Miles Davis – yet Donyale remains relatively unknown. Her shining career abruptly ended, as the result of an accidental drug overdose that led to her untimely death at age 34, but while her contribution to fashion history is largely obscured, she is a trailblazer who paved the way for the many black models who have since followed. Jeffrey Campbell boots ~ Lisa Maree top ~ Jones New York bracelet ~ Juicy Couture faux fur jacket.